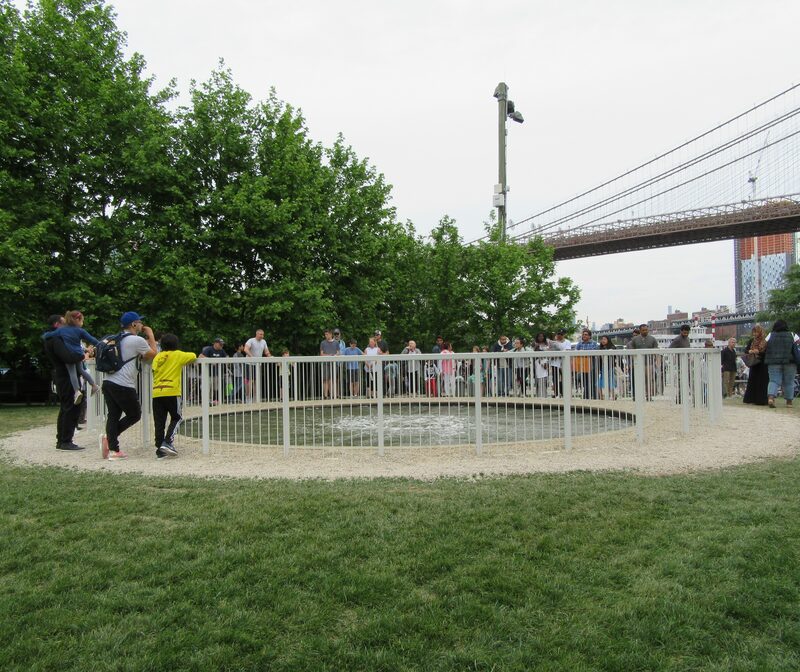 Brooklyn Bridge Park is fun place to hang out on a sunny weekend day. 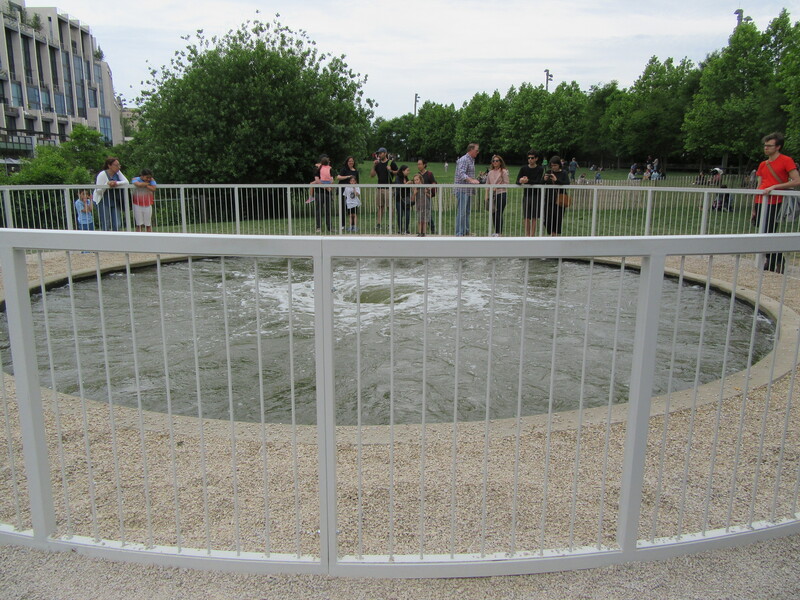 Into early September, there’s another reason to make a destination of this small oasis that rests in the shadow on one of the city’s major landmarks: that being Anish Kapoor’s Descension whirlpool installation! 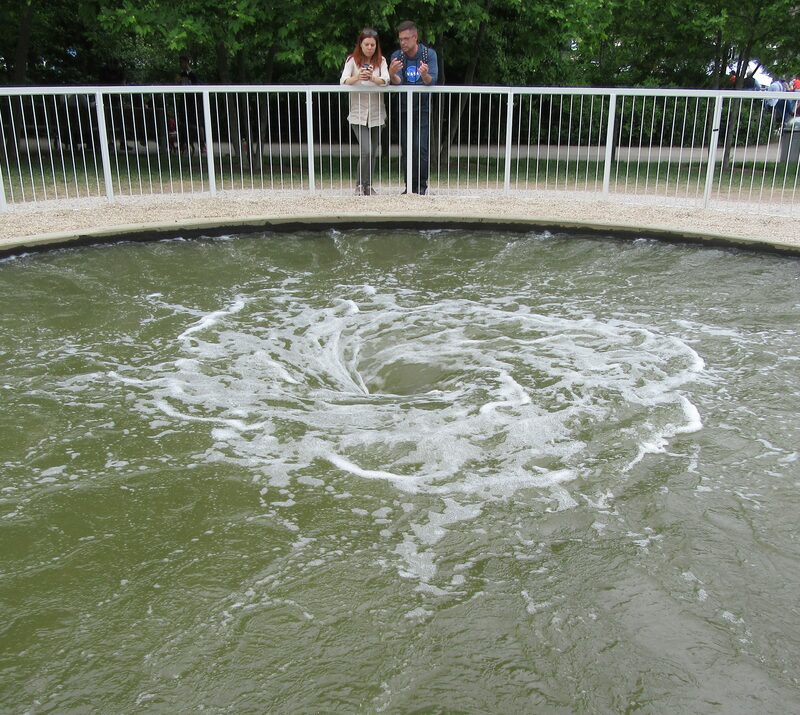 For more than 35 years, Anish Kapoor — an Indian artist who now lives in London — has been among the most creative artists of his generation. He has created compelling and poetic bodies of work using a range of materials that include raw pigment, stone, stainless steel, synthetic polymer, resin, and wax. 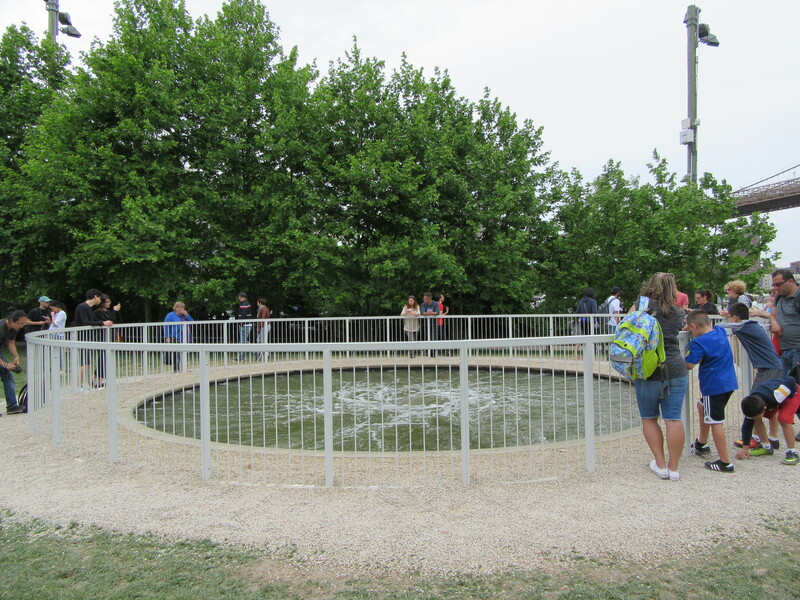 He also has a longstanding interest in the sculptural potential of water. Decension, presented for the first time in the United States, represents a breakthrough with this inherently challenging, slippery substance. 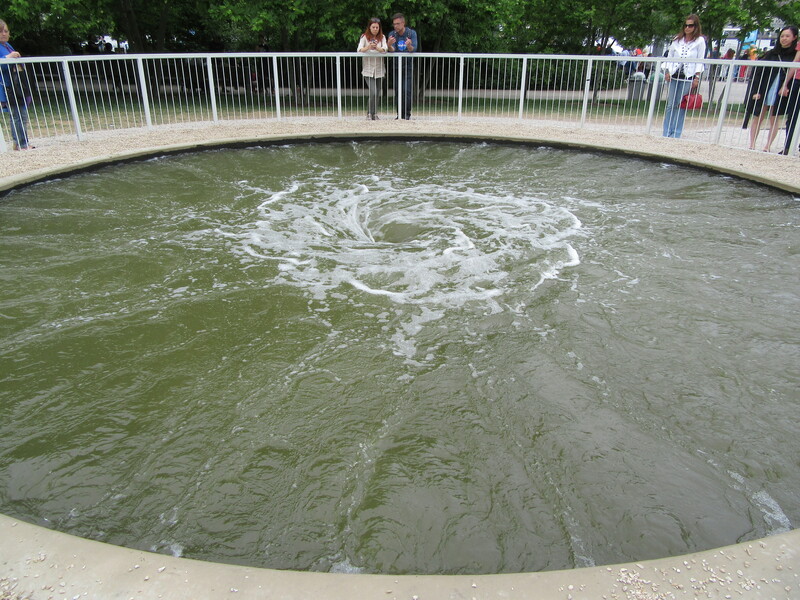 I visited the site on the (unfortunately overcast) Sunday of Memorial Day weekend, where I took a short video as I became hypnotized by the deep whooshing sound of the endless swirling water. Enjoy! Like all of Kapoor’s works, Decension is the result of intensive research into material and process, exploring the potential of water to behave in surprising ways. 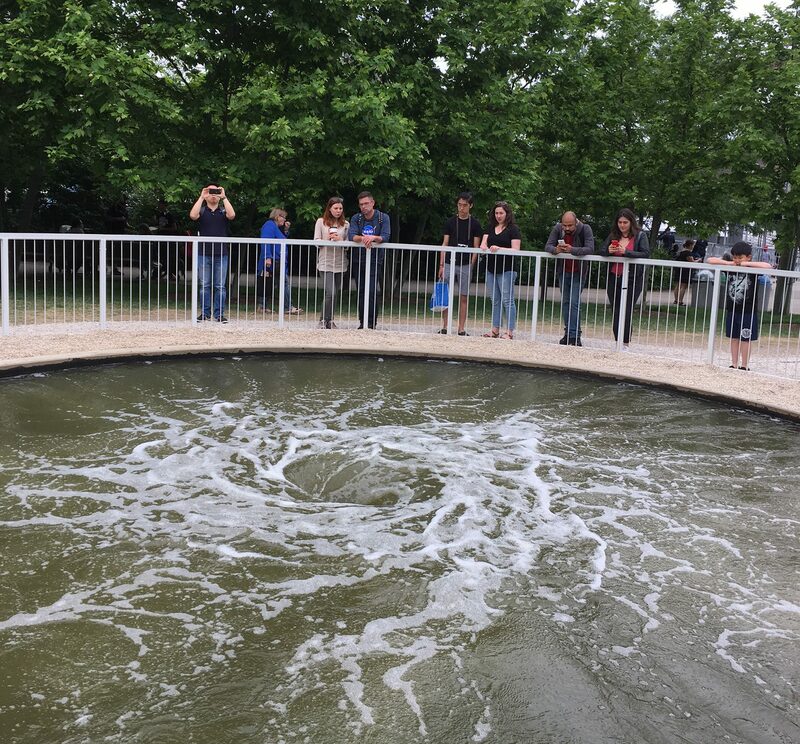 The continuous swirling motion of this 26-foot-diameter liquid mass converges in a central vortex, as if rushing water is being sucked into the earth’s depths. We thus experience Kapoor’s abstract form on multiple levels. Its powerful physicality has a visceral and mesmerizing impact. Yet Descension also stimulates the imagination and suggests a social, cultural and even mythic dimension. 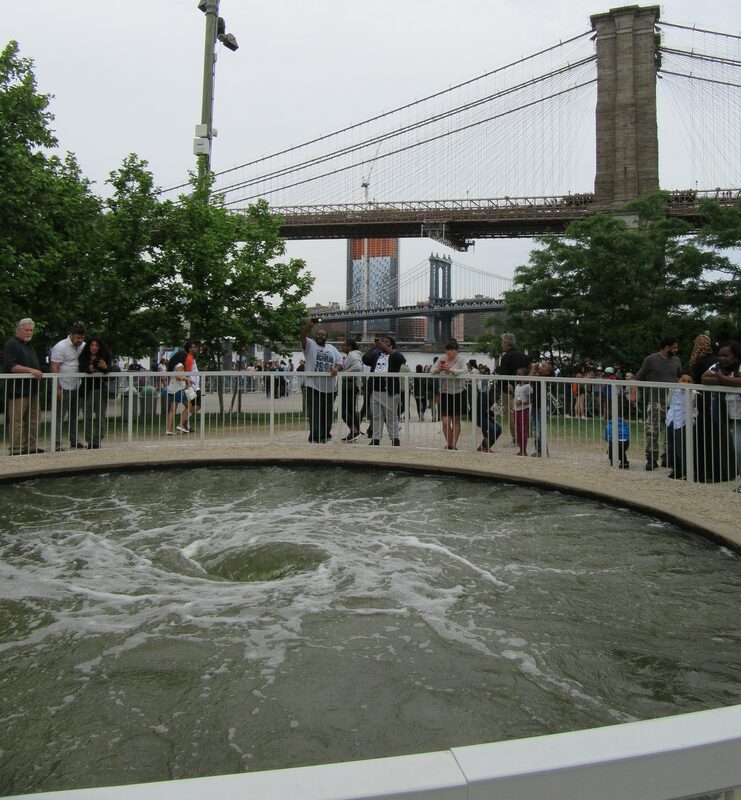 Descension is on view at Pier 1’s Bridge View Lawn until September 10th, 2017. Viewing times are 9:00 am-9:00 pm daily except during inclement weather.